Our vision is to deliver an experience throughout the day and evening that inspires and delights those who have come to explore and linger, while quickly and efficiently meeting the needs of those passing through. 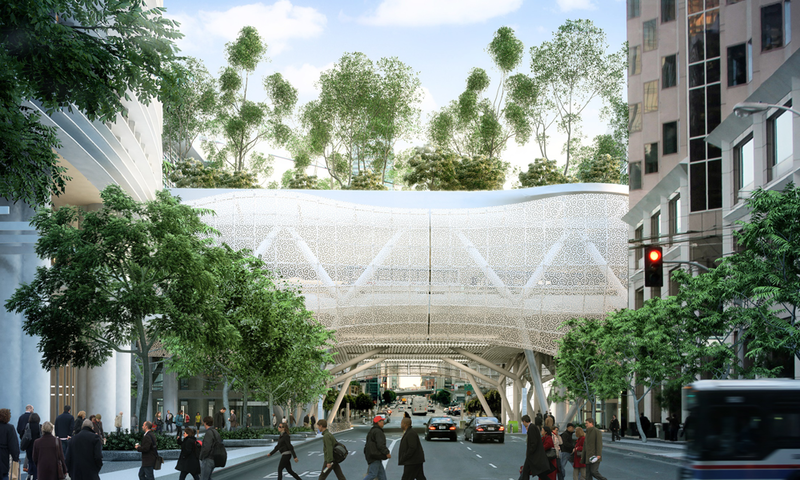 The Salesforce Transit Center will deliver a mix of retail and restaurants offering goods and services at all price points to ensure that it is accessible and appealing to a diverse population. Bus entering Muni plaza from Beale St.